It’s a beautiful day in the neighborhood. My plan for today was to continue our 2005 adventure story and our trip to West Wendover, NV. I got up after Kathi and she had already finished coffee and was ready to go to the local Kroger store. I had my Frosted Mini Spooners (sugar coated shredded wheat) breakfast while water was warming for my coffee. We have a coffee maker, but only use it when company comes over. We normally make our coffee one cup at a time in the morning. When I was working I drank coffee all day long, but have not done that since retirement. When Kathi returned from Kroger, she told me it was a beautiful day outside. I went out to bring the groceries inside and agreed with her assessment. So instead of the desert heat in Nevada, I am writing about current events while looking out the window of our RV. 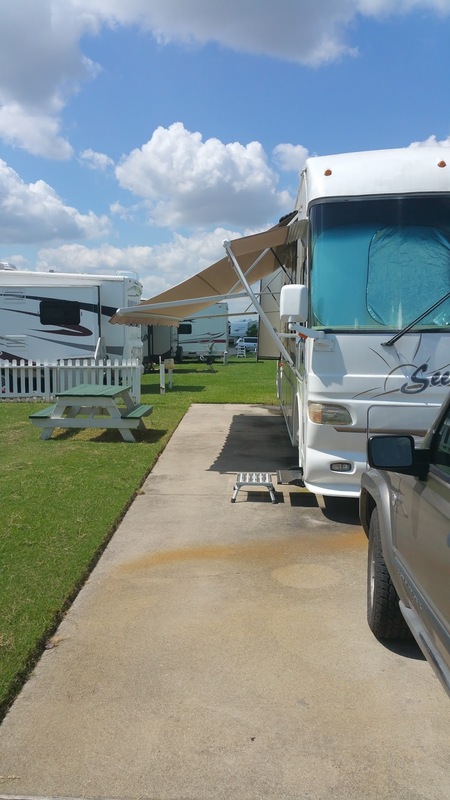 Kathi and I are still at the Green Caye RV Park in Dickinson, TX. We have been here since November 25, 2014. 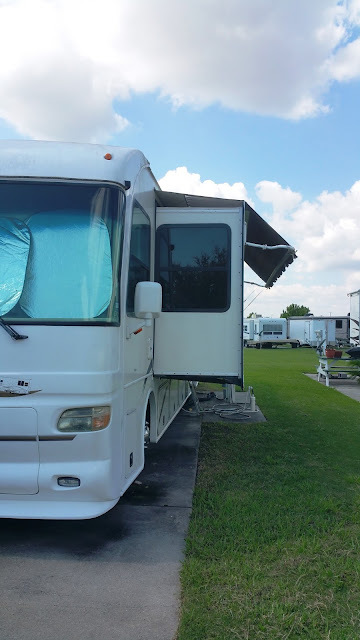 This is the longest our RV has stayed in one spot since our retirement in May 2003. Just before coming here, we spent two months on Lake Georgetown visiting our oldest son, AJ in Austin. We are still in Texas with our family. 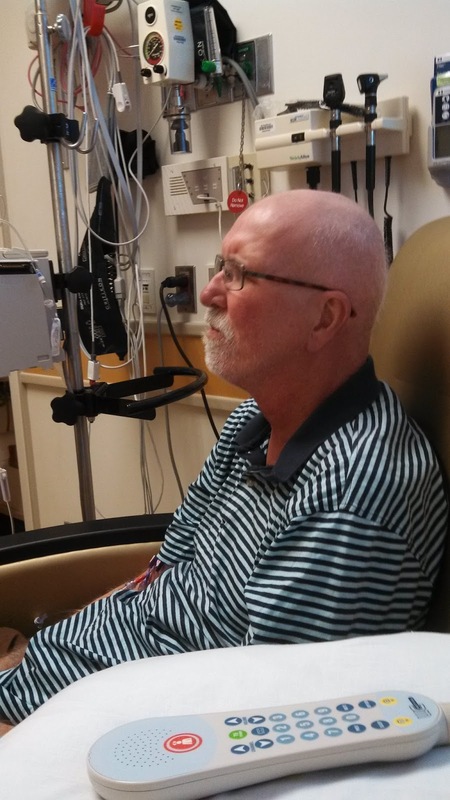 Kathi’s younger brother, Larry Clark is still in remission from leukemia. His major problem now is lack of taste and appetite, which is causing weight loss. The chemotherapy seems to kill people’s taste buds and stymie the function of saliva glands. He is drinking three liters of liquids per day and being infused with 1.5 liters of a saline solution with magnesium to replenish his magnesium loss from the chemo or other drugs he is taking. His immune system is about 30% of normal. Kathi and I take him to the clinic at Methodist Hospital on Thursdays to test his blood and adjust his meds as necessary. 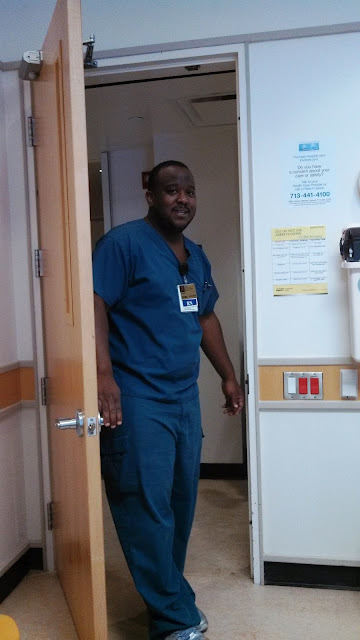 Brandon is one of the excellent nurses on the Methodist Hospital 8th floor. Larry napping. Infusion takes several boring hours. 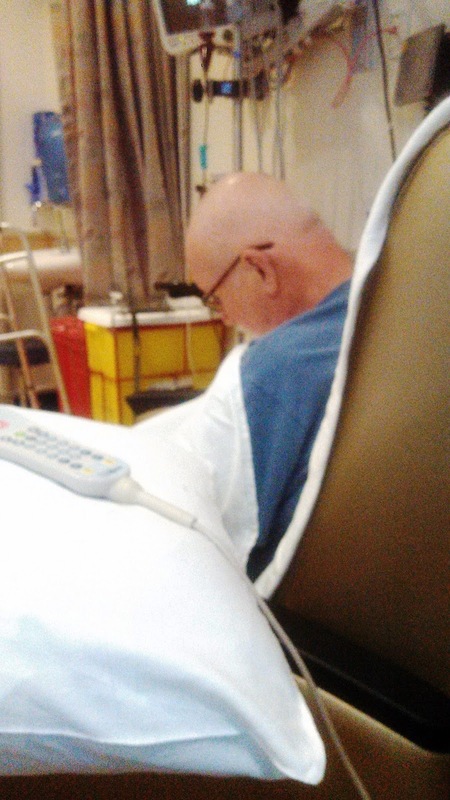 Larry watching TV during infusion at Methodist Hospital. Last Friday we made a one day trip to Austin to visit our oldest son, AJ. We would prefer to stay in our motorhome, but comparing the cost of diesel and RV parking against gasoline for our Jeep and a hotel room, it has been more cost effective to stay in a hotel in the past. We usually stay at Best Western in Austin, but they did not have any non-smoking rooms with a king sized bed. A room with two queens was $165 per night. We found a Best Western in Georgetown that was a little less expensive and got the room description we desired. With hotel room costs rising and diesel prices falling, it is now close to a toss-up whether to take the RV or the Jeep. 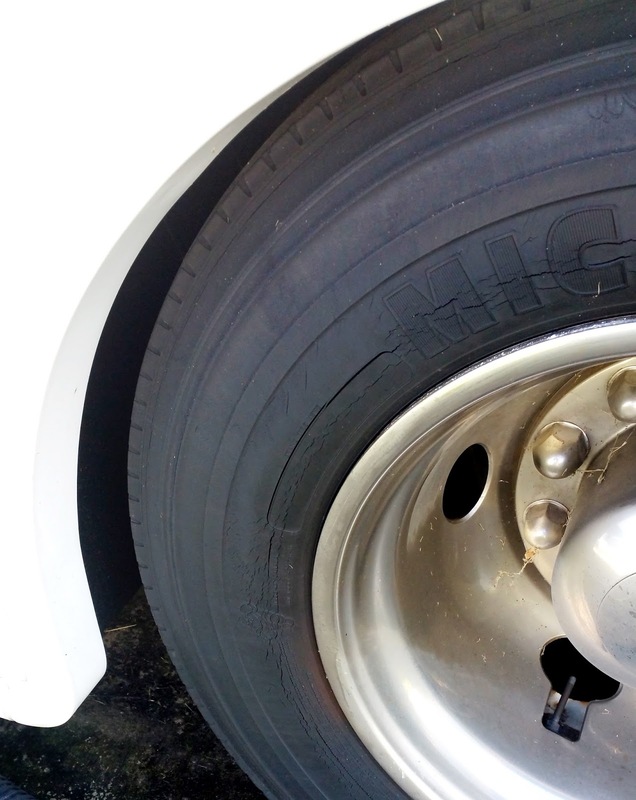 The RV was not an option for this trip, because we are still awaiting six Michelin tires to arrive at La Porte Tire Center. We were told the tires would take 4-5 weeks to arrive from Canada. It has been about a month, so Kathi called yesterday to check on delivery status. She found out the tires are in transit from England. Michelin is a French company, so England is a closer shipping spot for them. It would be nice if we could get lower corporate taxes soon so we can bring more businesses back to the USA. Michelin tire with visible cracking. Left side of our Alfa RV with 42 inch slide and awning extended. Right side of our Alfa motorhome with awning extended. I will return to my 2005 travel story about the trip to Wendover in my next post. Feel free to share with the Facebook share button below, if you have friends that may be interested in following this travel blog. Thanks.